Looking for a magazine that speaks to the issues that matter most to you, a Presbyterian woman? If so, look to Horizons, the award-winning magazine devoted to the mission and purpose of Presbyterian Women. 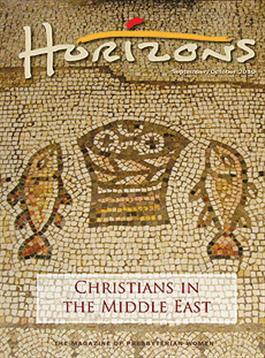 The theme of this issue is ""Christians in the Middle East.""